Crown Jewell Entertainment Systems, Inc. is a provider of low voltage and technology solutions, products and services. Our emphasis is to maintain a high standard of service, quality products and value. 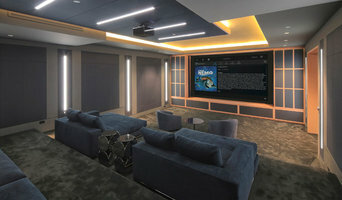 Crown Jewell Entertainment Systems, Inc. is a proud member of Custom Electronic Design & Installation Association (CEDIA) and Consumer Electronics Association (CEA). Active Systems deigns, installs and services every type of Security Systems and Fire Systems with complete 24 Hour Back up and Monitoring. We are always on the for front of the most current technologies in regards to Dedicated Home Theater, Multiroom Music Systems, Digital camera systems, Intercom and Entry Control Solutions, including Smart Device Control (Phone and Tablet control). Specializing in Custom Automation of all you electronic needs weather it be a small family room home theater, 32 seat dedicated cinema or a Commercial 32 digital camera monitoring system. We offer most brands such as Sonos, Marantz, Denon, Sony, Samsung, JVC, Niles, Russound and many others. We are a certified dealer for Panasonic Digital telephone and Camera system and has has been providing above and beyond personal customer service since 1992. CHAPTECH IT has been servicing the greater Orange County area since 2014, and is located in Huntington Beach CA. Mode Audio Visual is a luxury electronics company, laser focused on service. Over two decades in the high end audio video and automation business, we have the experience required to execute projects of any size. We have developed a process from sales and design, to completion, that ensures our systems are easy to use and work consistently. Feel free to reach out to us, we would love to hear from you! We are your local home technology specialist, helping Technology Work for You. We do it all: Computers, Smart Home Automation, Custom Home Theatre, Full Home WiFi Networks, Security Cameras and Systems, Cutting the Cord. We approve and install: Ring, Nest, Sony custom receivers, Yamaha receivers, Samsung TVs. LG TVs, Klipsch speakers, Jamo Speakers, KEF Speakers, Ubiquity Unifi networks, RTI custom home control, URC custom home control, Logitech Harmony Remote Systems, and Netgear Orbi Mesh WiFi systems. Evervue USA Inc. is redefining the realm of Bathroom TVs, Mirror TVs, Kitchen TVs, Outdoor TVs, Smart Mirrors, and Lighted Mirrors since 2001. With subsidiaries worldwide, Evervue products are installed in many houses and hotels and continue to delight guests with its unique hospitality solutions. We have traveled to the four corners of this world to provide Home Technology Services to our clientele. Successfully creating an amazing client base while working on everything from custom homes on the beach, to studio flats in the city, yachts anchored half a world away or a second vacation home in the mountains, we take a solution based approach to your technology needs. To be the best AV installation company by quality workmanship, outstanding service, and an unparalleled knowledge of consumer electronics. We take pride in our work and our customers reward us by referring future business. Other AV companies will sell you what THEY want you to have. Usually because they are familiar with it and know how to program it… Or they wire your space with wiring that only works for certain equipment – forcing you to use an over priced manufacturer with high cost of ownership. We at Vertex AV believe that your wiring should never control what product you use. We always wire so that you could choose the right equipment for you. Because we spend so much time learning about the latest technology, we can help you adopt the right products at the right price – getting you the highest value for your investment. We only recommend and sell products that are user friendly, proven to stand the test of time, and work well with other systems. We look at the long term cost of ownership for you and give you options that will meet your needs. After all, not everyone needs needs their smoke detector to turn on their outside irrigation to water their property in the event of a fire… but for those of you who do, we got you covered! The create long-lasting relationships with our customers. It’s simple… we hope you try us out on your next project. We hope you find us refreshing and easy to work with. If you do, tell your friends and family. We’d like to make their lives better too! Artistic Sound & Cinema, Inc. Experience Audio Video, Inc. of Orange County specializes in creating an experience in the home, office and business that is unrivaled in the audio video industry. We provide full design, installation and training of Home Theaters, Lighting Systems, Whole House Audio, Phone Systems, Audio Video Environments, Video Surveillance and so much more! We take pride in the entire process, from proposal to training the homeowner on their new system, in order to ensure reliability and ease of use. CEO, Brian Chappell, started Experience Audio Video, Inc. in 1999 and has since serviced both homes and businesses throughout Orange County. With an EAV system comes knowledge, understanding and skill. We have over 20 years of experience in the business working with Homeowners, Builders, Architects, Designers, Landscape Contractors and Cabinet Makers. If you are in need of a dedicated Home Theater, Projectors, Surround Sound, Whole House Audio, Phone Systems, Lighting Systems, Flat Screen T.V.’s, and/or Automation we can help. We know how to make the process SIMPLE. We are a full-service custom electronics design and integration company. Our smart home technology solutions make your home safe, elegant, fun and easy to use. Our team is comprised of world-class experts in every field whose number one priority is to provide the best products and services to our clients. SMART HOME TECHNOLOGY Effortlessly listen to your favorite music from any area of the home with a single button press or set the lights and shades to create ambiance for entertaining in your open concept kitchen and living area. From your mobile device while at home or away you can view surveillance cameras, unlock the door if your child forgets the key, or set the temperature. LIGHTING CONTROL Custom-tailored lighting control allows you to change the mood of any area of your home to suit the occasion. Whether watching TV, dining or entertaining, one press of a button can create the ideal atmosphere you desire. Lighting control systems save energy. MOTORIZED WINDOW TREATMENTS With motorized window treatments you can easily adjust the amount of daylight in your home to increase comfort, save energy, and protect interiors. Motorized shading and drapery transforms harsh glare into soft pleasing light, enhances privacy while preserving exterior views, reduces solar heat gain, and provides UV protection of expensive furnishings and artwork. CONNECTED HOME If you’re using smart devices and have a home technology system you’ll be living in a connected home environment that offers convenience, flexibility, and an enhanced lifestyle. We’ll work with you to determine which technologies need to be connected on your network, wired or wireless, to meet your needs. MULTI-ROOM MUSIC Distributed Audio systems send music to any room in your home via a central processor or matrix switcher. Control of your music is simple and intuitive by means of a touch panel, keypad, handheld RF remote, iPad® or similar Wi-Fi smart device. Whether the speakers are placed in the walls, ceiling, bookshelves, shower or pool, they can be designed to aesthetically blend in to minimize visual impact. We also have wireless solutions that enable you to enjoy your music from anywhere. SURVEILLANCE Receive live video streams of entrances to see who’s at the door, interior areas, the perimeter, or even check on the kids playing in the pool all from the same touch screen that controls your home entertainment system or from your smart mobile device. Find a home media designer on Houzz. 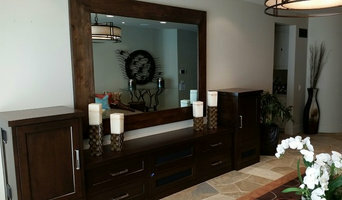 Narrow your search in the Professionals section of the website to Orange County, CA home media designers. You can also look through Orange County, CA photos by style to find a room you like, then contact the professional who designed it.